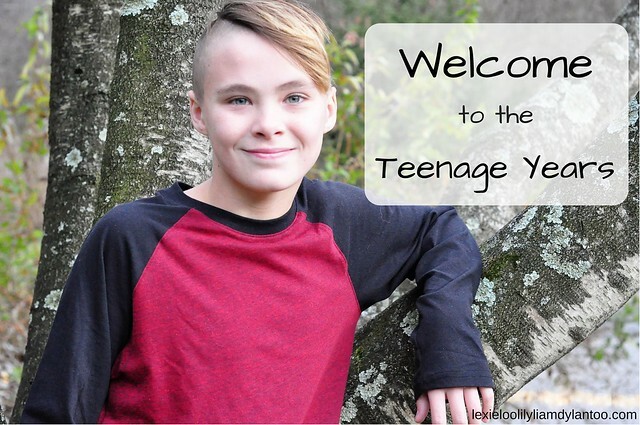 Our Five Ring Circus: Welcome to the Teenage Years! This is the part where I mention just how quickly 13 years flew by. I know every mother tells you not to blink, but it's true. I blinked. One minute Dylan was a tiny baby who rushed into the world before it was time, then I blinked. 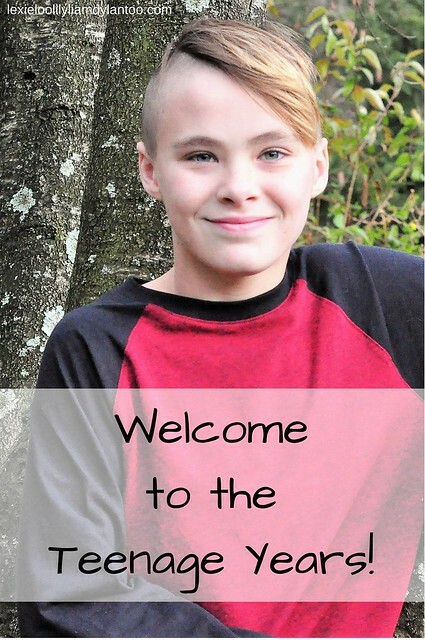 When I opened my eyes, a teenage boy stood in front of me. Raising children is a very bittersweet thing. 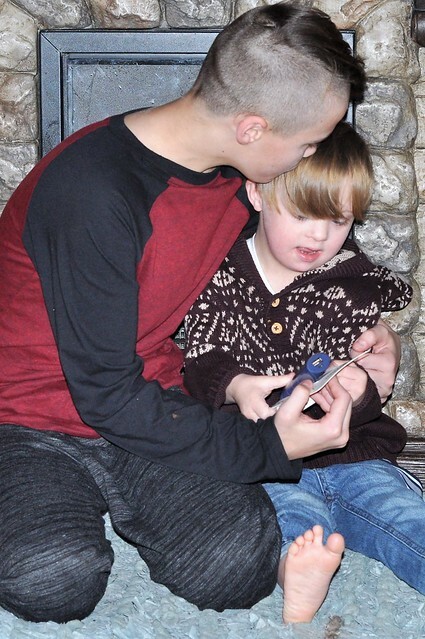 There are definitely moments when I wish I could rewind time and go back to when he liked me all the time, or at least freeze time so he isn't rushing toward adulthood as quickly as he rushed to be born! The overused saying that time flies is 100% true, and there is literally nothing you can do to slow the process. So to all those new mamas and mamas of little ones...hold onto those moments and enjoy their childhood. Those moments will be gone in the blink of an eye, and you will be facing uncharted territory. The teenage years ARE terrifying, and I can honestly say that we're winging it, and hoping we all make it to the other side with minimal bumps in the road! For Dylan's 13th Birthday, we stuck with our usual traditions. 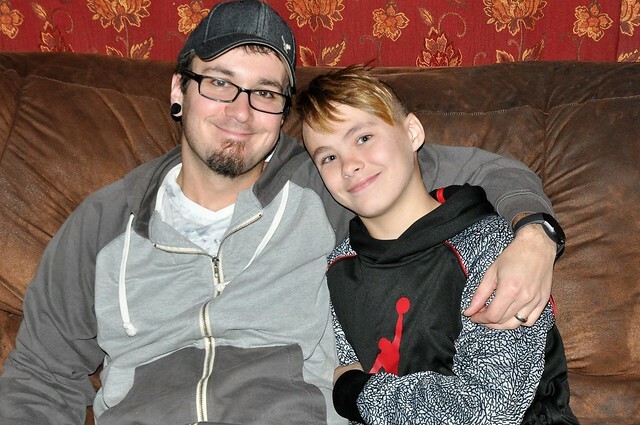 He may be a teenager now, but birthdays are still special in our home! 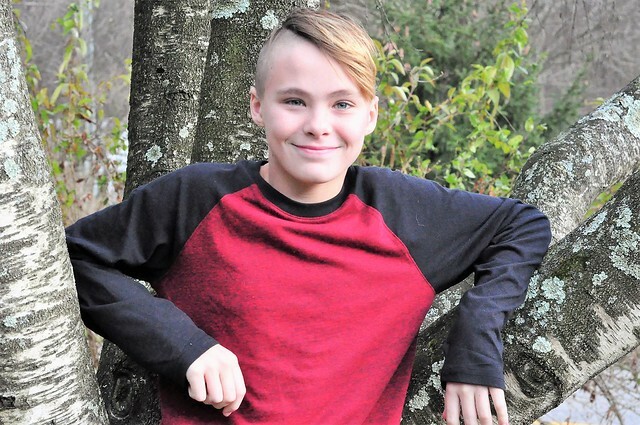 His 13th Birthday started with a bedroom filled with balloons, a new outfit waiting to be worn, a decorated living room and donuts for breakfast. 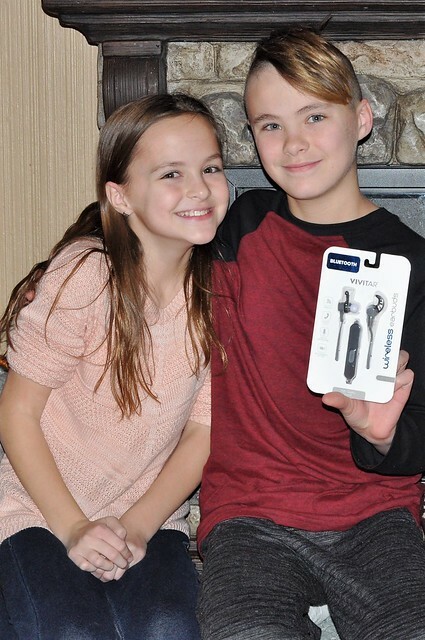 We always give Dylan and Lexie the option to stay home from school on their birthday if it falls on a weekday, but Dylan wanted to go this year so he could see his girlfriend. (Yes, he has a girlfriend. Hold me!) Since Dylan and I have to wake up an hour before everybody else, I was the only one who could sing Happy Birthday to him to start his day! When Dylan got home from school, we went to pick up Liam from school, then came home and did a quick 13th birthday photoshoot! He was a good sport...obviously. After taking pictures, Dylan channeled his inner teenager, and took a nap on the couch. Thankfully, he woke up willingly when Grant's mom stopped by for a visit! She was still here when Grant arrived home from work, but she left soon after so we could give Dylan his birthday presents and head out for his birthday dinner. First up was birthday presents from siblings! 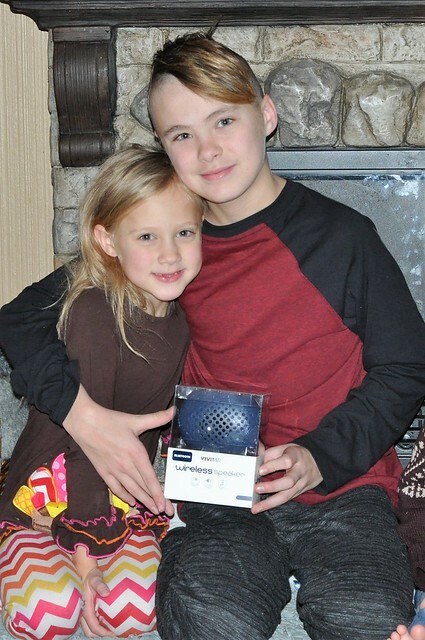 Lexie bought him wireless earbuds, Lily bought him a wireless speaker, and Liam bought him a portable charger. In addition to the clothes that Dylan requested, we bought him an extra special present this year! We're "mean" parents who make our kids wait until they are 13 to get a cell phone. I know it's against the norm these days, but there wasn't a reason for him to have a phone before now. 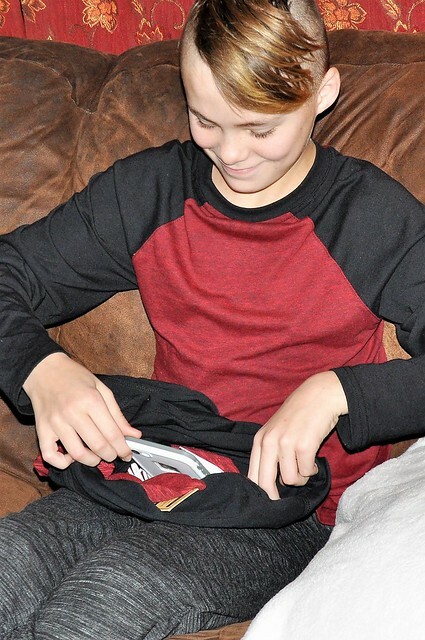 We wrapped it up in a new shirt, and Grant called it as Dylan was unwrapping his last gift. He was so excited that a tear or two may have been shed! 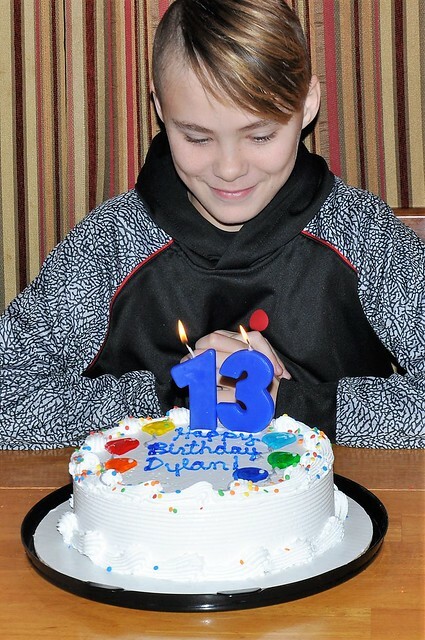 This year, out of the abundance of restaurants that surround us, Dylan opted to go to Subway for his birthday dinner! 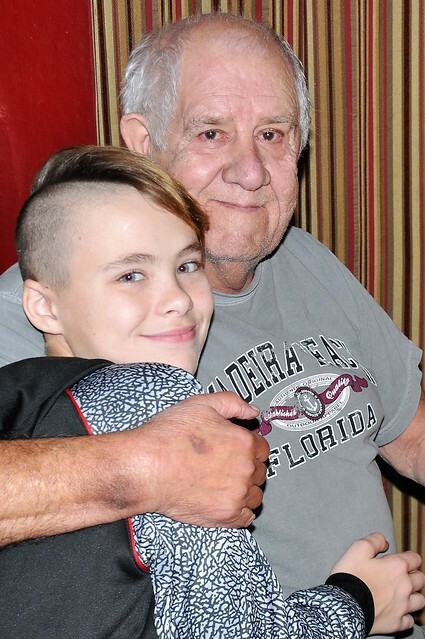 After dinner, my dad showed up with an ice cream cake for Dylan, so we wrapped up the celebration by singing Happy Birthday to the newest teenager on the block! I'm not quite convinced we're going to survive the teenage years, and I certainly don't feel old enough to have a teenager! 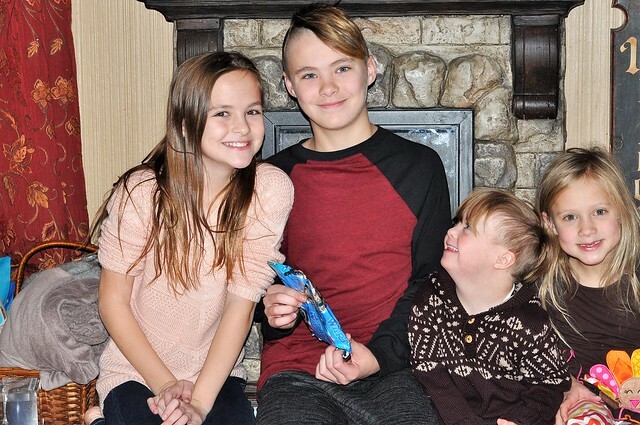 That being said, Dylan is a special kid and is loved VERY much. 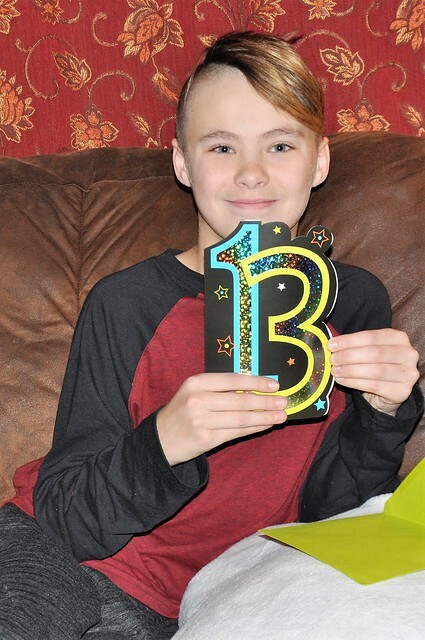 Happy 13th Birthday, sweet boy! Even though you're as big as me, and are going to pass me up in the very near future, you'll always be my baby! And just for fun, Dylan decided to complete this annual birthday interview for the last time. We laughed a lot while I was interviewing him, and decided we're going to have to change the questions for next year! 2. FAVORITE TOY? XBox. Actually...PHONE! 3. FAVORITE CHARACTER? In what? Can it be in video games? Or TV? Probably Tina from Bob’s Burgers. 5. FAVORITE FRUIT? Favorite fruit...pears. 13. FAVORITE RESTAURANT? Subway. Eat Fresh! 17. FAVORITE SONG? That’s a hard one! Ps and Qs by Lil Uzi. 21. FAVORITE OUTFIT? Denim joggers, Adidas shoes, Abercrombie shirt and a hat. 22. FAVORITE GAME? Video game? Probably Skyrim. 25. FAVORITE PLACE TO GO? Anywhere? Probably the movies. 26. FAVORITE THINGS TO DO? Play basketball, play on my phone, and play xbox. 28. FAVORITE STUFFED ANIMAL? I guess it counts...Probably the white stuffed polar bear that Lily just gave me for my birthday! 29. FAVORITE DAY OF THE WEEK? Friday because it’s the end of the week. 30. FAVORITE MONTH? November because it’s my birthday. 31. FAVORITE SEASON? Fall because basketball starts. 32. FAVORITE HOLIDAY? Christmas because I get to see family and give and receive presents. 33. WHO IS YOUR BEST FRIEND? That’s a hard one. Dom or Jack. Okay Zoe...my girlfriend. 34. WHO DO YOU LIKE TO PLAY WITH? I like to hang out with Dom because we can play basketball, play video games and talk about big kid stuff. 35. WHAT MAKES YOU HAPPY? To see my girlfriend. 36. WHAT SCARES YOU? Spiders, clowns and heights! 37. WHAT MAKES YOU SAD? Sad puppies. 38. WHAT DO YOU WISH FOR? I wish...to...make there be no bullying. 39. WHAT IS YOUR FAVORITE MEMORY? When Liam was born because he’s my best friend. 40. WHAT DO YOU WANT TO BE WHEN YOU GROW UP? I’m thinking a car mechanic or technology engineer. 41. DISLIKES? To see people getting picked on. Mainly those who have disabilities. 42. WHAT ARE YOU LOOKING FORWARD TO THIS YEAR? I’m looking forward to basketball starting so I can get back on the court and improve. So there you have it! That's 13 in a nutshell! 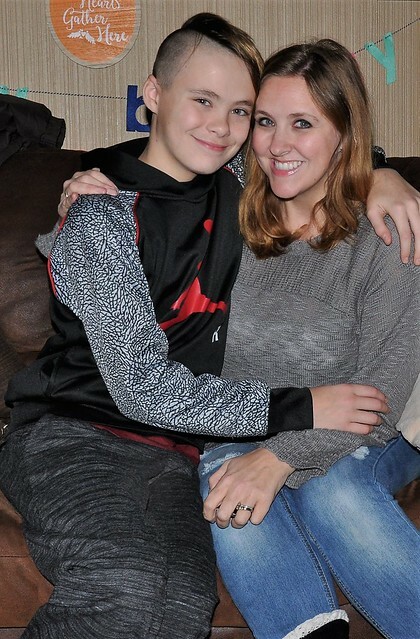 Goodness gracious, I can't believe he's a teenager! 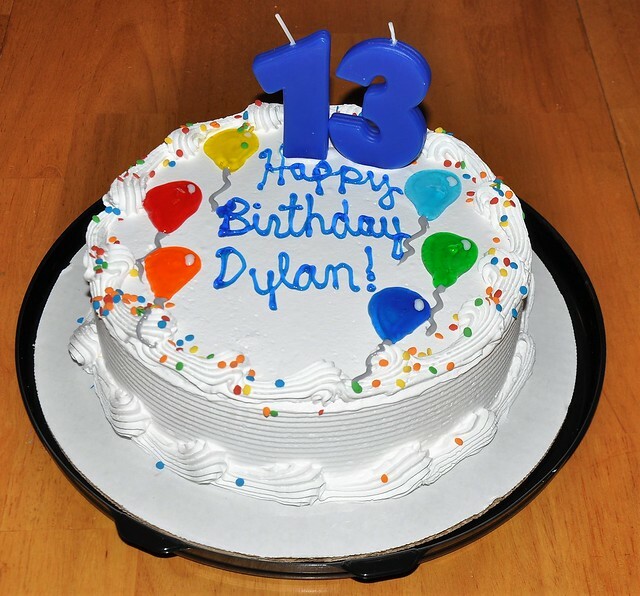 Happy birthday, Dylan! Thank you! I can't either! Awe... 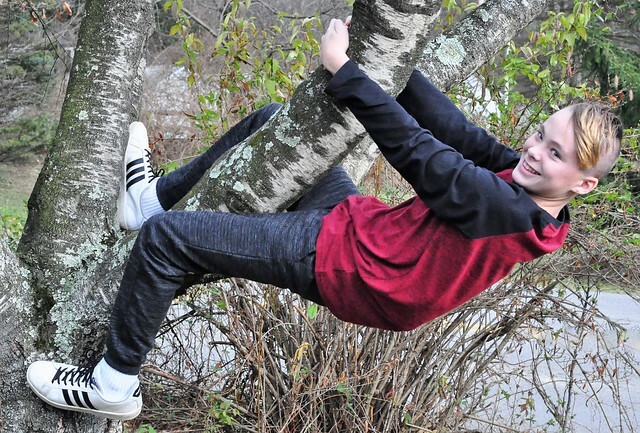 I bet it's so hard to believe he is 13!!! My daughter will be 12 this summer and I can't get over it. Love the survey he filled out. We do one too, and last summer as we sat down to do it I wondered how much longer I would be able to go with them answering the questions. Awww, they grow up way too fast! I'm wondering if this is the last year he will do the survey! He sounds like such a sweet boy momma! I promise he still loves you huge and he will just need to push away for a bit to become a guy...but then he will be back and there will be other challenges and blessings along the way. Parenting is the hardest thing I've ever done and I never knew it would be harder as they become independent than it was getting no sleep! Hang in there! Thank you for sharing that! I sure hope so! Time really does fly by, doesn't it? What a handsome young man you have there...I am sure you will survive the teenage years just fine! 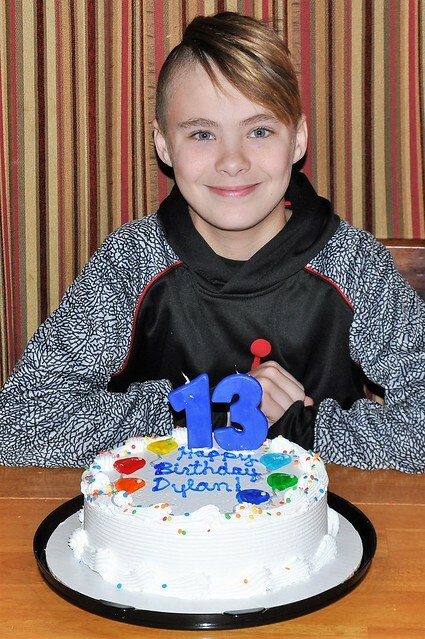 Thank you for sharing Dylan's special day with us! Sounds like a great birthday. Gabbie is getting a phone soon too. She's still 12. 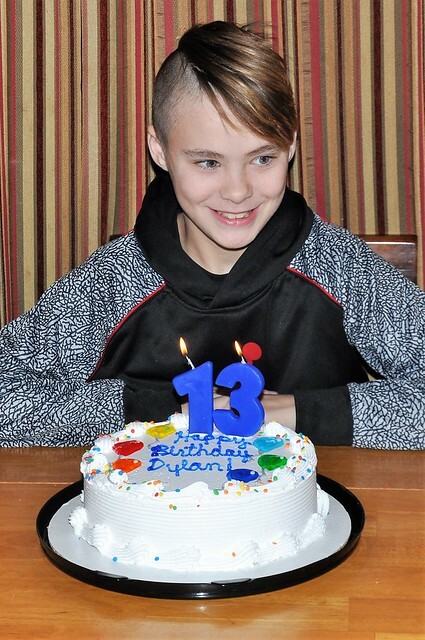 Happy birthday to Dylan! We have a couple of discarded iphones from relatives floating around our house, but will not be getting service for any kid phones until they hit 13 either. Pierce cannot wait. Thank you so much! 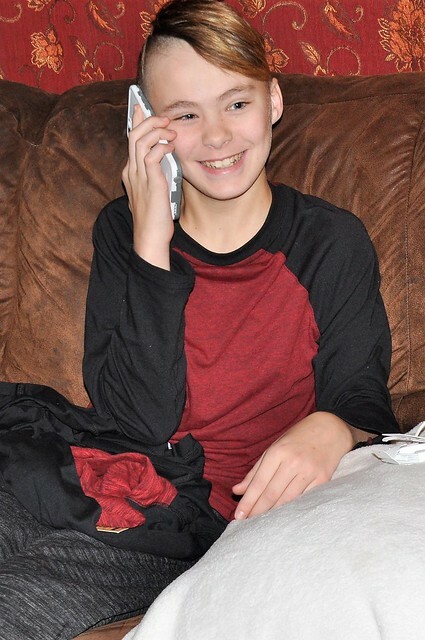 I know it goes against what most people do, but I just felt strongly that he didn't need a phone until now! This is crazy!! Happy Birthday!! Oh my word! He is SO grown up. I know you are going to have lots of good advice for me here in a few years. Can't wait to watch and learn. 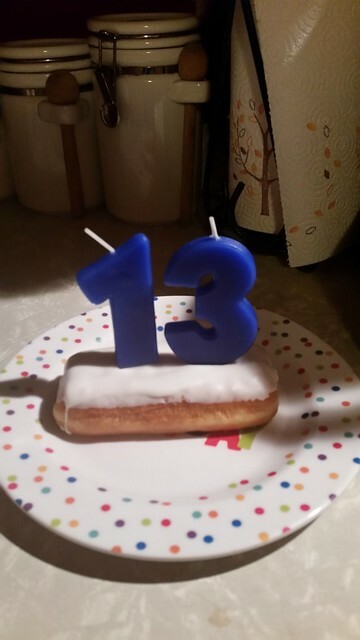 Ahhh 13!?!?! And a girlfriend!??! Oh my gosh I will never be ready for this!! He is quite the handsome little guy and it sounds like you're doing well for winging it!! I'm all weepy for you! A teenager?! I can't imagine!